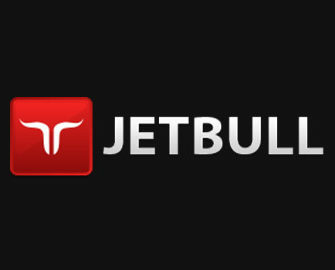 Jetbull – Blooming Spring, Booming Games! Win more than you can imagine! Will there be soon 2,000+ games at Jetbull? 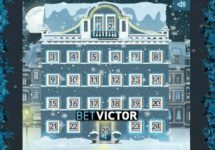 It certainly is set to happen as with their latest addition of Booming Games they boast now 1,620+ classic and video slots, scratch card games, video pokers and table games plus their large variety of 77 Live Casino tables. Player’s heaven, one could say as the choice is just mind blowing and includes by now probably every known large or small, established or new game provider there is on the market at the moment. To celebrate the launch of Booming Games at Jetbull they are giving away awesome bonuses just for trying the new games. Every player can claim them once every week during the promotion period. Not yet a member of Jetbull? Then sign-up now and enjoy their 100% Welcome Bonus, up to €150.00. The more, the merrier. 47 fresh & cool games from Booming Games, the right collection to kick-off spring, are awaiting players at Jetbull and with it goes a great promotion. Play the Booming Games from 1st to 15th March 2017 and…. BOOM! The money will come back to you. Wager the required amount and claim your no-deposit bonus be sending an email to [email protected] The bonus will be credited to eligible accounts within 24 hours and can be used on Booming games only. Players can split the deposit into multiple amounts and will still be eligible for the no-deposit bonus once they have reached the minimum deposit required. The bonus can be claimed only once per player per week and has a 40x wagering requirement on Booming games only subject to a €10 maximum bet restriction and the standard bonus terms and conditions. Launched in 2007, the site is operated by EveryMatrix Ltd. under MGA Malta, Curacao and UKGC licenses. It offers a comprehensive gaming and betting hangout with Casino, Live Casino, Sports, Live Sports, Virtual Sports and Lottery. The casino games are from Netent, 1x2Gaming, Betsoft, Booming Games, EGT, Genii, Endorphina, Habanero, Hybrino, iSoftbet, JoinGames, Kiron, Lega, Merkur, Microgaming, MrSlotty, Multislot, NextGen Gaming, NYX Interactive, OMI, Pariplay, Play’n GO, Playson, Quickspin, Spigo, Spinomenal, Stakelogic, Vivo, WMS and WorldMatch. The Live Casino is powered by Netent Live, Authentic Games, BetGames, Evolution, Ezugi, Lucky Streak, Vivo and XPro.